Liam is a lucky fellow, all speed in healing. He was kiting, I couldn't figure out if he was or not from the video. There have been very few such attacks up to now worldwide that we've heard about. "Just back from hospital, as shark bites go he's a lucky lad, after watching it all being cleaned out and stitched a ****ing brave one to, thanks to spot 1, kip and the staff at joondalup health campus. He slipped off his strapless surfboard in the shallows while turning to go back out, felt a tug on his leg and saw the bronzey before he new it his kite was in the water and the noah had gone, very lucky to be close to shore." "Liam was bitten by a small 4-5ft shark in shallow water. 49 puncture wounds !! and a few stitches." There is a female bull seal (i think) colony north of the location & i think the males migrate up that way annually to party"
There is a known "hot spot" for agro bronzies not far off shore behind the surf at Wedge. They take offense to us spearing there on occassion and make clear their objection. Apparently he dropped off his board near shore while tacking and was hit in the shallows. It is possible the shark may have been startled by the nearby noise and struck. The bite could have been a lot worse, no major flesh removed fortunately. In these taste and run attacks sometimes a big lump of flesh goes with it or far worse a major blood vessel might be severed. 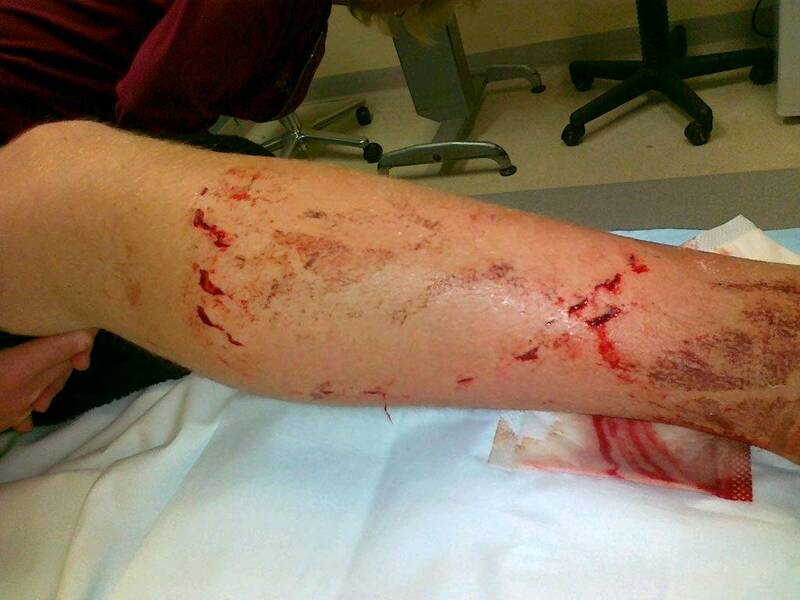 Steve Schafer's attack involved a larger shark which may have made a defensive attack severing his femoral artery. Liam shredding earlier in the year. A short video of the 14 year old victim with a lot of wind noise, some cursing too from the cameraman.